Zhang, H., C. Luo, Q. Wang, M. Kitchin, A. Parmley, J. Monge-Alvarez, and P. Casaseca-de-la-Higuera, "A novel infrared video surveillance system using deep learning based techniques", Multimedia Tools and Applications, vol. 77, issue 26676, 2018. Westin, C-F., M. Martin-Fernandez, C. Alberola-Lopez, J. Ruiz-Alzola, and H. Knutsson, "Tensor field regularization using normalized convolution and markov random fields in a bayesian framework", Visualization and Processing of Tensor Fields: Springer Berlin Heidelberg, pp. 381–398, 2006. Tristán-Vega, A., and S. Aja-Fernández, "DWI filtering using joint information for DTI and HARDI", Medical Image Analysis, vol. 14, no. 2: Elsevier, pp. 205–218, 2010. 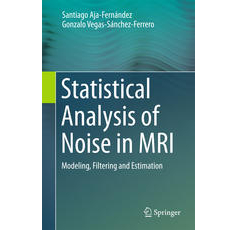 Tristán-Vega, A., C-F. Westin, and S. Aja-Fernández, "Bias of least squares approaches for diffusion tensor estimation from array coils in DT–MRI", Medical Image Computing and Computer-Assisted Intervention–MICCAI 2009: Springer Berlin Heidelberg, pp. 919–926, 2009. Tristán-Vega, A., V. Brion, G. Vegas-Sanchez-Ferrero, and S. Aja-Fernández, "Merging squared-magnitude approaches to DWI denoising: An adaptive Wiener filter tuned to the anatomical contents of the image", Engineering in Medicine and Biology Society (EMBC), 2013 35th Annual International Conference of the IEEE: IEEE, pp. 507–510, 2013. Tristán-Vega, A., F. Simmross-Wattenberg, E. Muñoz-Moreno, P. Casaseca-de-la-Higuera, and M. Martin-Fernandez, "On the estimation of joint probability density functions for multi-modal registration of medical images", Congreso Anual de la Sociedad Española de Ingeniería Biomédica (CASEIB), vol. 26, Valladolid, Spain, Sociedad Española de Ingeniería Biomédica, pp. 13-16, 2008. Tristán-Vega, A., C-F. Westin, and S. Aja-Fernández, "Estimation of fiber orientation probability density functions in high angular resolution diffusion imaging", NeuroImage, vol. 47, no. 2: Elsevier, pp. 638–650, 2009.